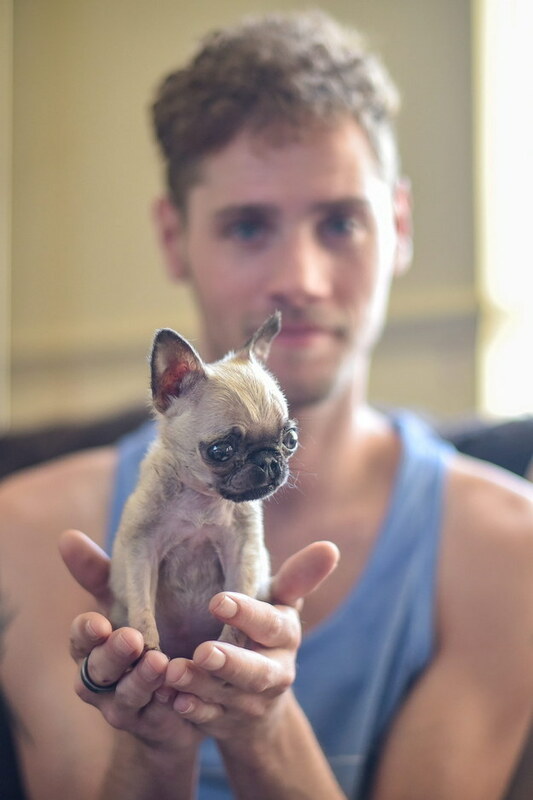 Pip weighs 1lb and is less than four inches tall. Meet Pip, the four-month-old pug. 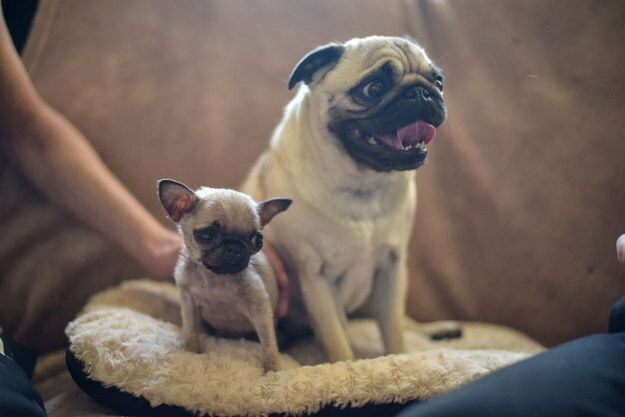 Pip apparently weighs just over 1lb and her owner thinks she could be one of the smallest pugs in the world. Pip was part of a litter of four and survived numerous cases of pneumonia caused by a cleft palate, the SWNS news agency reported. 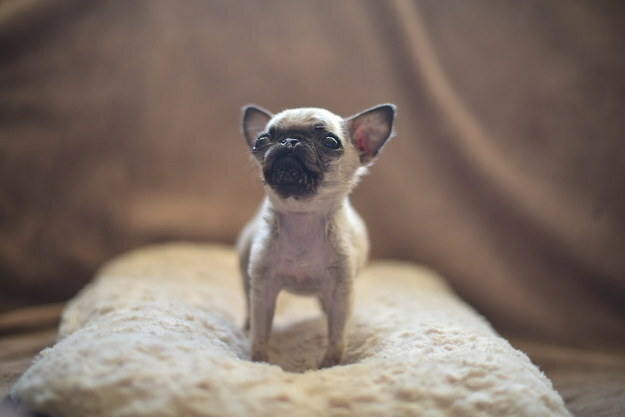 She is just four inches tall and half the size of her sister Poppy. 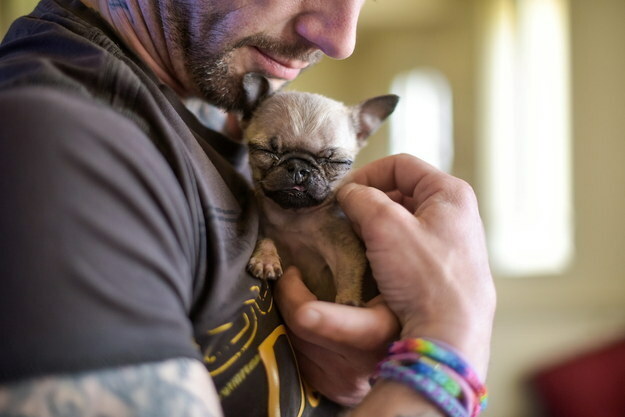 “She must be Britain’s smallest pug – if not the smallest pug in the world,” the Daily Mail quoted her owner Joanne Astley as saying. 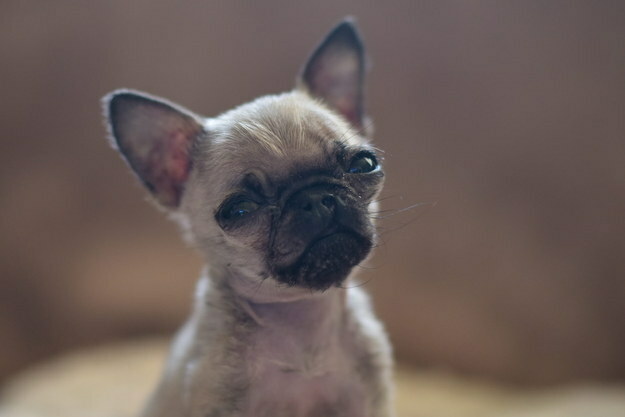 According to the Guinness World Records, the smallest living dog is a female chihuahua called Milly. Milly is just 3.8 inches tall. The smallest dog, in terms of length, is Heaven Sent Brandy – who measures 6 inches from nose to tail. Pip’s mother Ruby gave birth to a litter in January and Astley admits she was taken aback by her size. “I couldn’t believe it – she was just so tiny,” the Mail quoted Astley, from Dudley, West Midlands. Astley also revealed that when she wants to take her dog out and about, she has to put Pip in her handbag. It’s clearly the only way to travel.